These days, Members of the Anderson Apocalypse are still trying to figure out how much their Hamilton County Property Taxes would’ve increased if voters had unwisely approved another Forrest Hills School District Tax Hike Scam, while Hamilton County Treasurer Robert A. Goering is reminding everybody to make sure they have a lot of extra cash in their checking accounts next Tuesday to cover those humongous checks they’ll have to write to pay their Jacked-Up Hamilton County Real Estate Taxes. “We are going to move the buses off the Anderson campus.” PROPERTY TAX FOOLS! We moved the administration building off the campus instead and are going to put the buses right where that building was in full view of Beechmont Avenue plus eat up some athletic fields. Hahahahaha! “We are going to renovate Anderson High School.” PROPERTY TAX FOOLS! Not any time soon even though we made it out to be so critical that you had to pass our Big Fat Levy – like right now! Hahahahaha! “There is plenty of money in this levy to renovate our schools to new.” PROPERTY TAX FOOLS! We never said there was enough money for furniture! We begged for the levy so now you can go beg for donations to buy something for the kids to sit on. Glad to see you are doing just that. We just totally love our foolish, obedient sheep. Hahahahaha! “We would never ever consider bowing to political pressure to change the name of the Anderson Redskins. 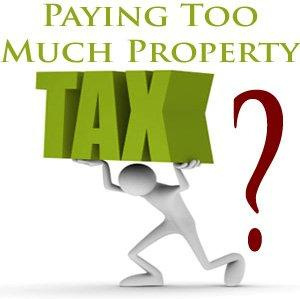 PROPERTY TAX FOOLS! Hahahahaha! “We board members represent our community’s conservative politics.” PROPERTY TAX FOOLS! We wouldn’t dare to stop elementary schools from suggesting alternative activities to watching historically significant events like inaugurations as an important opportunity to educate about how our country works. Hope we remembered to make everyone watch the big protest the next day. A raging Madonna is definitely historic as well as hearing that the new president bathes in Cheetos dust. Hahahahaha! You can see more Fools In Schools Jokes at the School Board Meeting on Anderson Community Cable. This entry was posted in Uncategorized and tagged Anderson Apocalypse, Anderson Community Cable, Anderson High School, Fools in Schools, Forrest Gump School Tax Hike Scam, PROPERTY TAX FOOLS! on January 25, 2019 by charlesfosterkane.